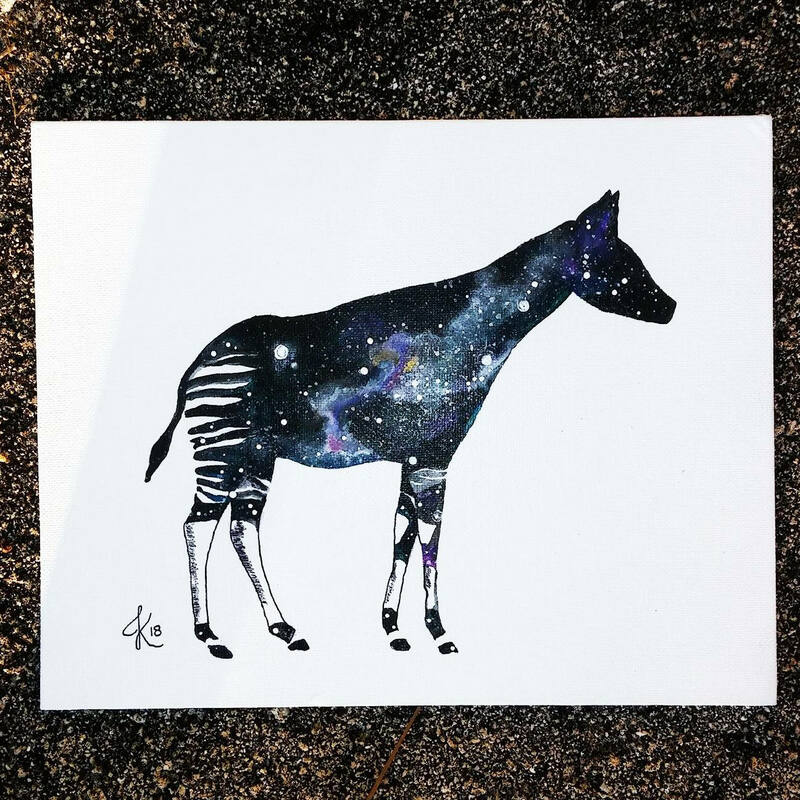 Part of my "cosmic zoo" collection, this custom okapi painting is perfect for the offbeat baby nursery, animal lovers, or for that person who loves funky art. The painting shown is a representation of what you will receive. The galaxy pattern will vary painting to painting; no two will look the same. Quality acrylics are used on back-stapled canvas. Comes ready to hang.